It’s almost time for the IMSA cars to hit the track for the first time in 2018, with the teams and drivers preparing for the Roar Before The Rolex 24 Test at Daytona International Speedway. Here’s a few snippets from social media, as the on-track action draws every closer. 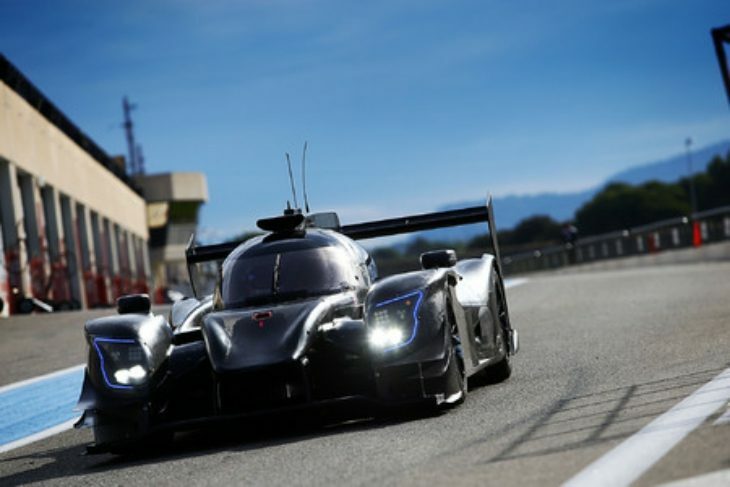 Up front in the Prototype ranks, Alonso has been pictured in his new United Autosports gear after a test run at Aragon last November with the Anglo-American team. 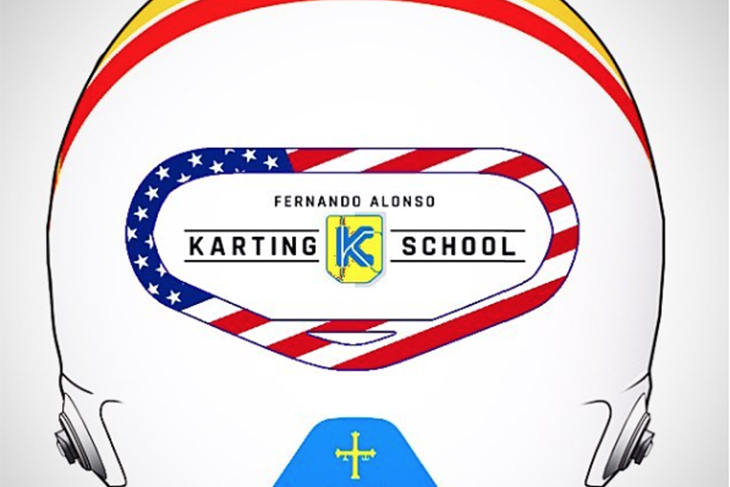 In addition to new overalls for the two-time World Champion, as he did for his Indy 500 run, he’ll have a fresh look for his helmet. It’ll be predominantly white, and feature a large decal on the back, the logo for his karting school, featuring the Daytona Oval. “It’s a true pleasure to go back racing in the States, in front of the US fans,” Alonso said after the winter test, looking ahead to this week’s test. “In less than a year I will have competed in two legendary races, which makes me very proud. I have always wanted to challenge myself in other categories of motorsport, as this is what you need to become a better driver. Going out of my comfort zone by taking part in such an iconic race as the Daytona 24 Hours is just amazing. 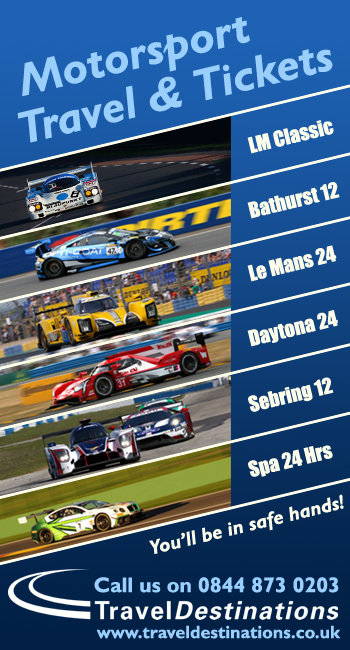 I am looking forward to racing for United Autosports, the reigning European LMP3 Champions. 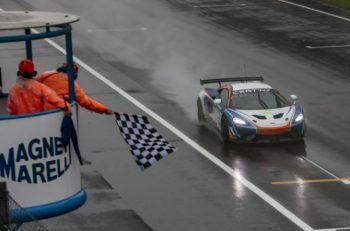 The 2018 Rolex 24 will also be a big one for the Spaniard’s teammate Lando Norris, the up-and-comer, who like Alonso will be making his 24-hour and IMSA debut in Florida, is notably excited. It appears that the Roar will mark his first trip to America, as well as the Daytona banking! “I’m really looking forward to the Roar and to go and meet all my team mates properly,” Norris continued, speaking ahead of the Roar. 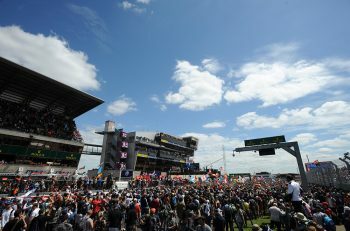 “I’m looking forward to being back in a car after a bit of a break, which is one of the many things I’m excited about. I’m heading out to America for the first time ever, which will be a new experience for me. Another notable effort out testing in the winter has been BMW Team RLL. The American team, which will debut the M8 GTE/GTLM globally at the Rolex 24, ran the car at Sebring at the end of December, following on from M8’s track time at the Winter IMSA test at the ‘Speedway’. Below is some footage of it, courtesy of Lanky Turtle. In the Acura GTD camp, both HART and Michael Shank Racing’s NSX GT3s have been pictured. First, below, is a shot of the orange Shank Acura, which will run a special Rolex 24 livery, pictured by Mario Farnbacher. And second up are shots of the HART NSX GT3 being loaded into the team’s trailer for its trip to Florida. The Roar will be of particular importance to newly-signed drivers John Falb and Sean Rayhall, who will be getting their first taste of GT machinery at the test. Elsewhere amongst the sprawling GTD paddock, Christina Nielsen has posted a teaser shot of Wright Motorsports’ Porsche 911 GT3 R.
In addition to that, Action Express’ Joao Barbosa has hinted that the team’s Mustang Sampling-backed Cadillac DPi-V.R will run with a new set of colours for this year. Our NEW COLORS look great! And finally, AFS/PR1 Mathiasen Motorsports’ Ligier JS P217 has had all its decals applied before the Roar, as well as its full colour scheme. Needless to say, it looks very striking! On track action at the Roar before the Rolex 24 begins on Friday 5th January with two test sessions. Further test sessions will be held on Saturday 6th and Sunday 7th with a 15-minute qualifying shootout being held on Sunday afternoon. The shootout will determine the garage layout for the Rolex race week. You can follow the action live with IMSA Radio’s free audio stream, on its dedicated online radio player, with channel RS2. IMSA Radio will also be providing commentary, live (with video too) of the IMSA Prototype Challenge race.